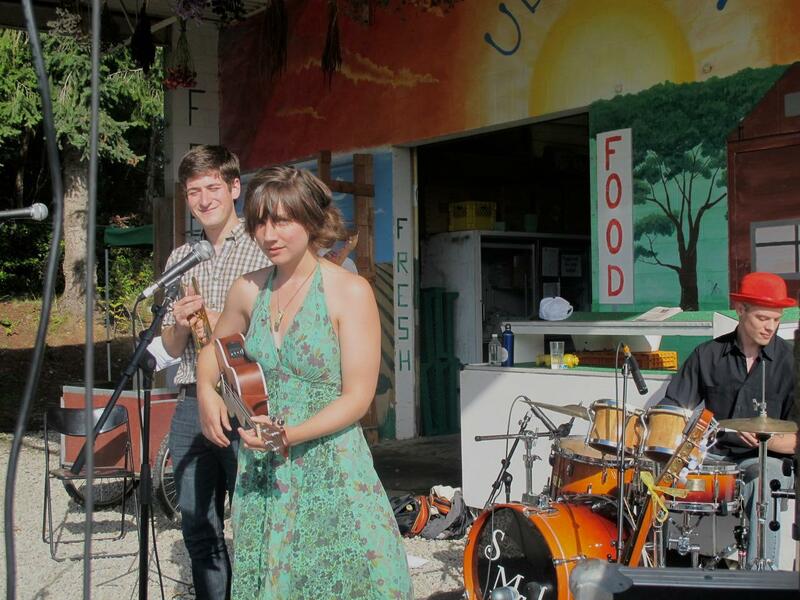 Thanks to everyone who made it out to FarmAde last Friday. Many thanks also to our wonderful volunteers and to the tireless Nancy Toogood for spearheading this event with such zeal for the eighth year in a row! Without you, FarmAde would simply not have taken place. Our home brewing workshop host, Danny Seeton, also deserves a special shout out for having enthusiastically led a workshop for over 4 hours amidst a painful headache, which he only revealed to us the end of the day. 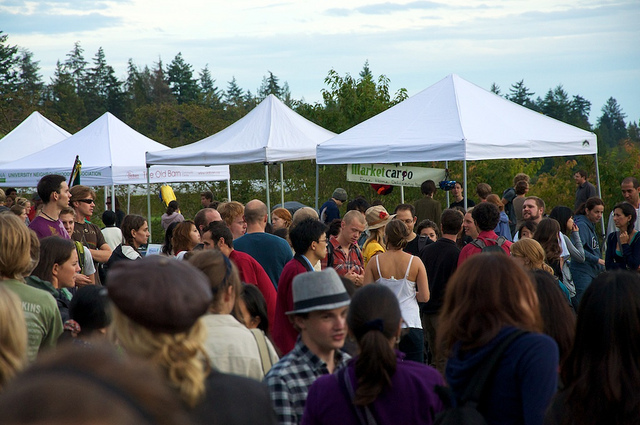 With about 1300 smiling attendees strolling through the UBC Farm gates, this year was our best attended FarmAde. 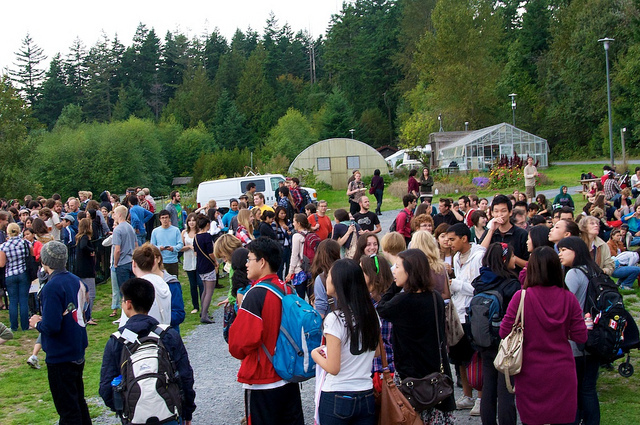 It was such a pleasure to see so many familiar faces and to welcome folks who had never been to the UBC Farm. 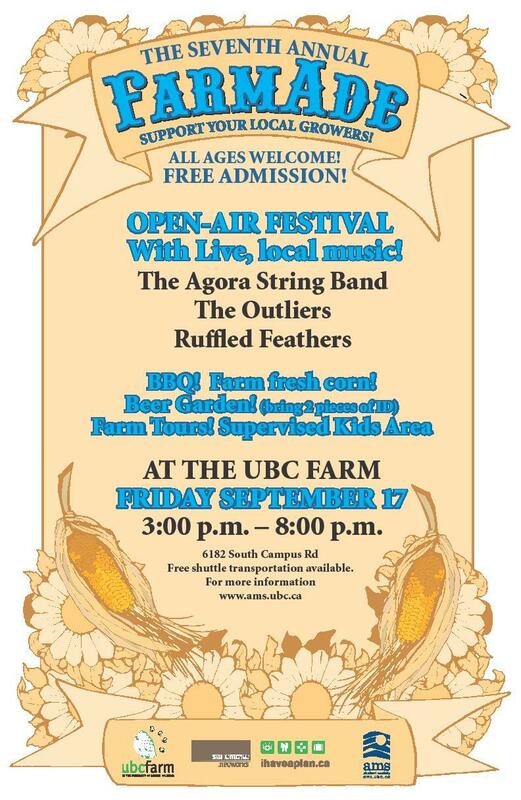 This annual event is a very important part of promoting awareness about the UBC Farm, the opportunities that it offers for academic and community involvement, and also for supporting its land security. 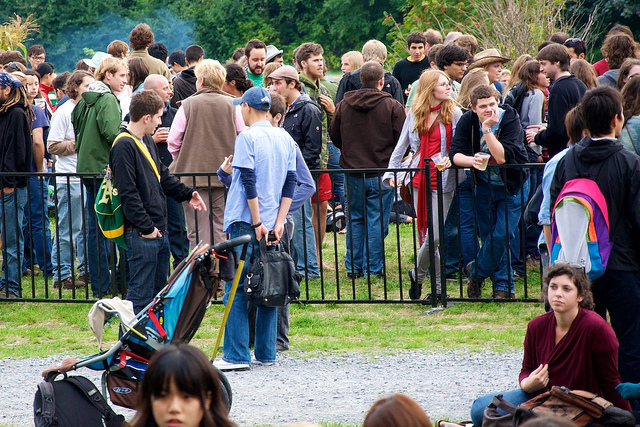 Amidst all of the bustle on Friday, we realize that FarmAde did not take place without a few inevitable rough patches. In particular, we apologize for challenges with the shuttle busing. We greatly appreciate your understanding with such matters, and we welcome input about how we can make the event more enjoyable next year. 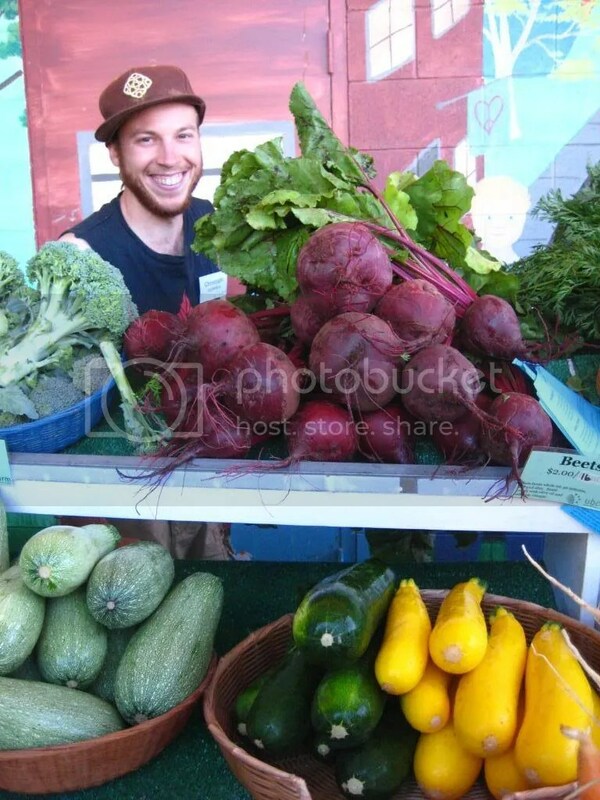 Also, we’d gladly appreciate any pictures from the day that you would be willing to share with us (friendsoftheubcfarm@gmail.com)! Photos courtesy of Annie, Justin, Sang and Nicole. One of our many excellent volunteers. 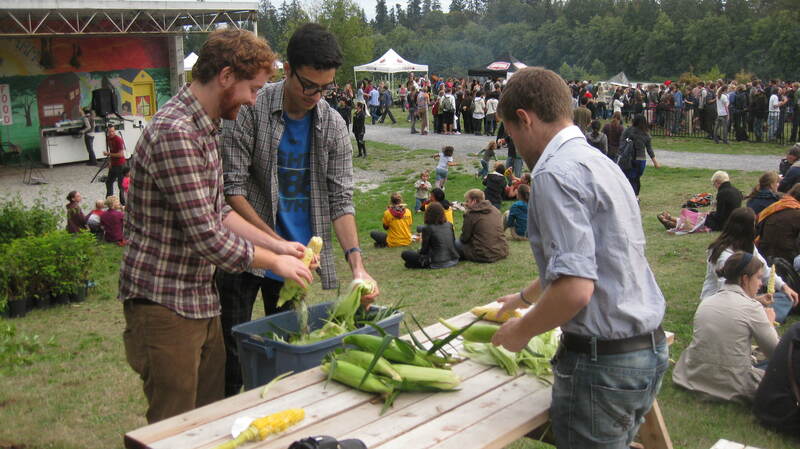 Chowing down on fresh UBC Farm corn. It’s the first year our maize yield has been big enough to sell at FarmAde! However… we sold out of corn early in the evening. AMS VP Academic Ben Cappellacci rolled up his sleeves and got to work. 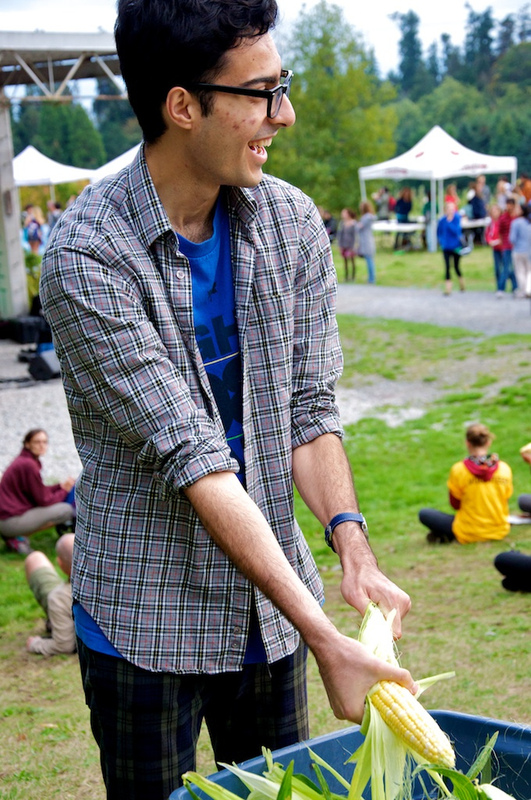 Ben was joined in his emergency shucking efforts by VP Finance Elin Tayyar, who was clearly having no fun. 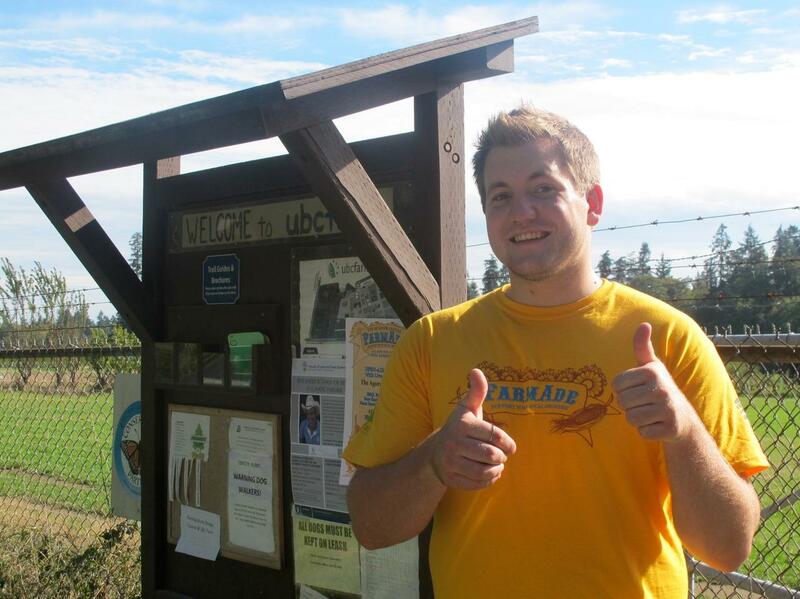 AMS Sustainability Coordinator Justin Ritchie pitched in as well. Thanks, gentlemen! Beverage Garden featuring local, handcrafted brew from Storm Brewing and compostable cups. View of our fine Info Fair organizations. 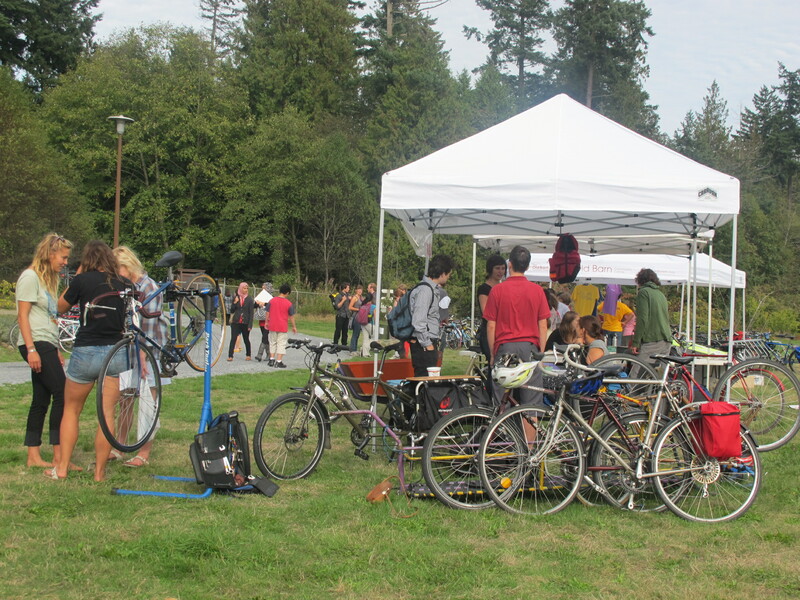 UBC Bike Co-Op providing cycling education and bike repairs. Cucurbit and brassica in Landed Learning garden plot. 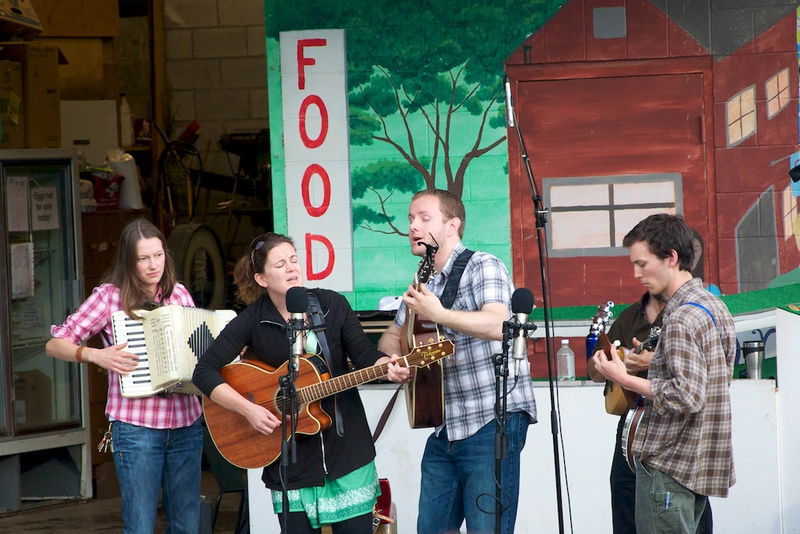 The much-loved Agora String Band. 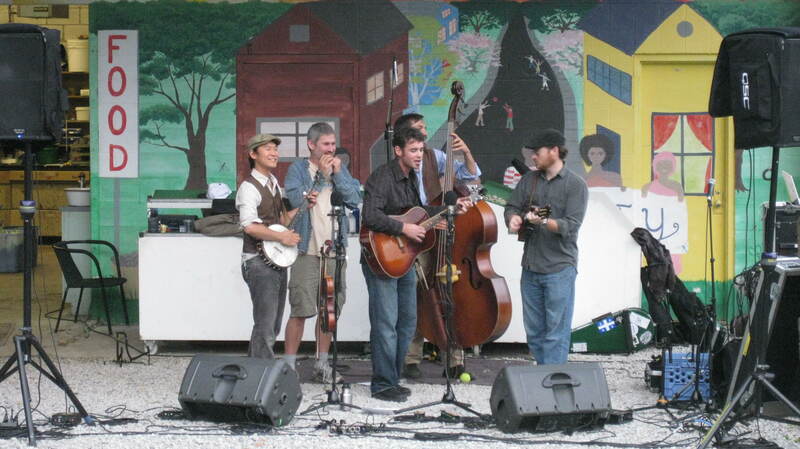 They returned to the stage with their bluegrass tunes later in the evening to play for a small remaining crowd of very serious dancers. 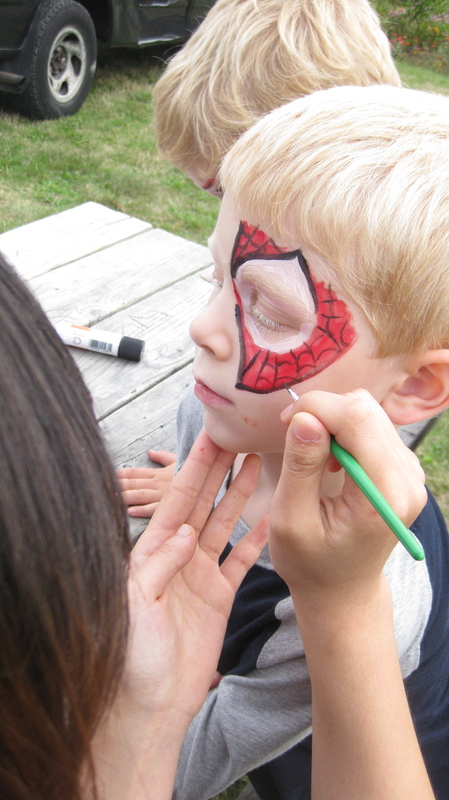 Volunteers needed for our annual FarmAde, Sept 17! We will need plenty of volunteers from morning until evening on Friday, Sept 17 to help us make this fun annual fundraiser a success! 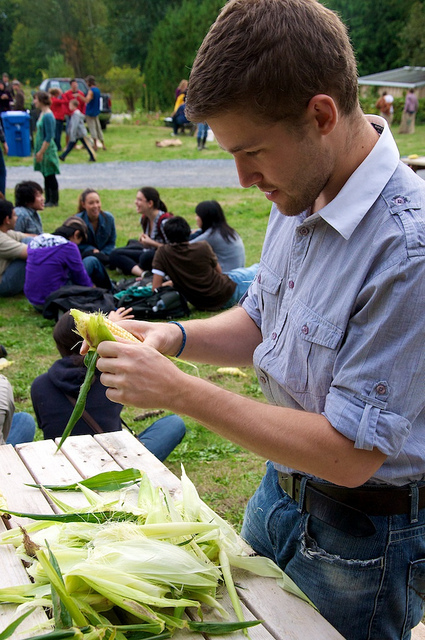 Volunteer tasks range from shucking corn, overseeing site waste management, taking photos of the event, assisting with BBQing and helping to tidy up at the end of the day. 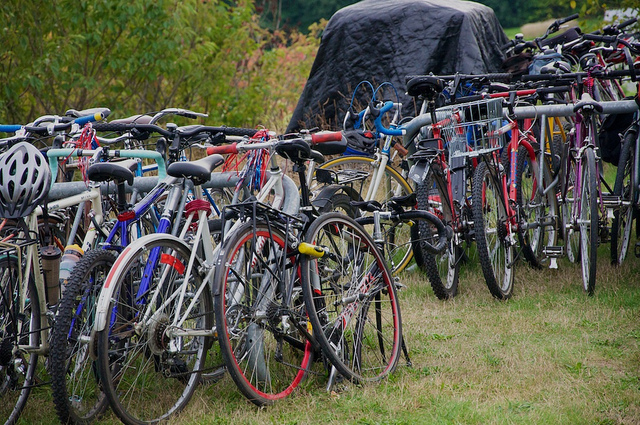 In particular, we are looking volunteers with a valid driver’s license to help with transporting equipment and driving FarmAde campus-to-UBC-Farm shuttle bus. FarmAde Volunteers receive a free t-shirt along with meal and beverage tickets. Please email anelyse.m.weiler@gmail.com if you’d like to join our crew of wonderful, energetic volunteers. 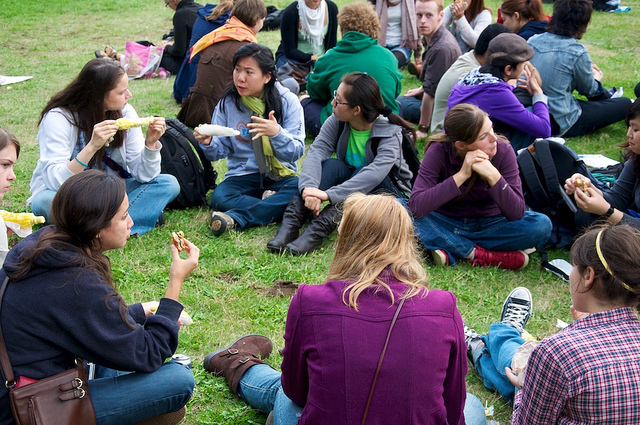 Regardless of whether you are volunteering, we look forward to seeing you on September 17th! Dancing up a storm at FarmAde 2008. The LFS Orchard Garden will have it’s first volunteer shift this Monday July 13th from 10:00am to 2:00pm in the Orchard Garden behind MacMillan Building. 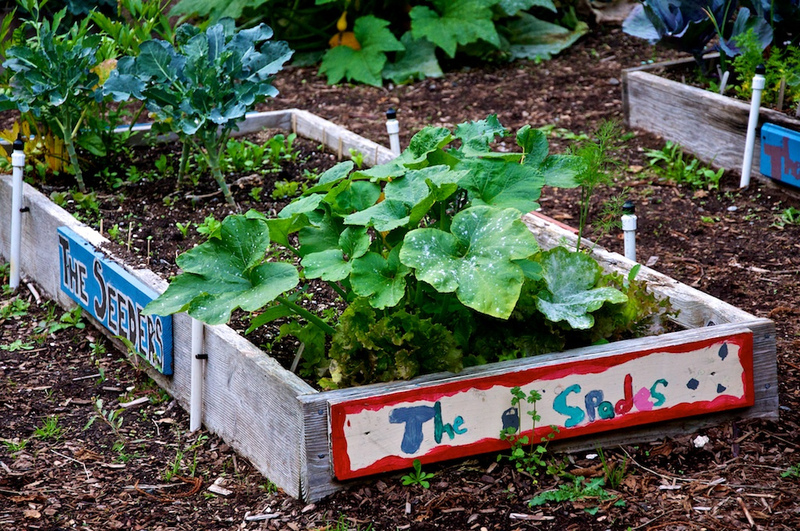 It will be a great way for anyone interested in Urban Agriculture to come and take a look at a “real life” plot. Contact Tegan at lfsgarden@gmail.com for more info! 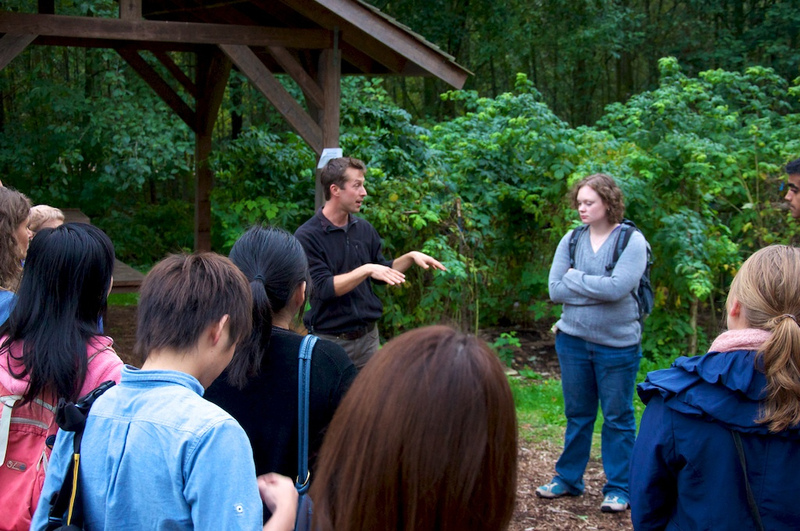 The LFSOG (Land and Food Systems Orchard Garden) had its beginnings in the spring of 2007 as the “LFS Garden at MacMillan Building (LFSGAMB),” a directed studies project by former Global Resource Systems (GRS) student, Lin Steedman (2007). The LFSOG is still in its infancy, yet developing to be a world class practical demonstration site for garden-scale urban agriculture. 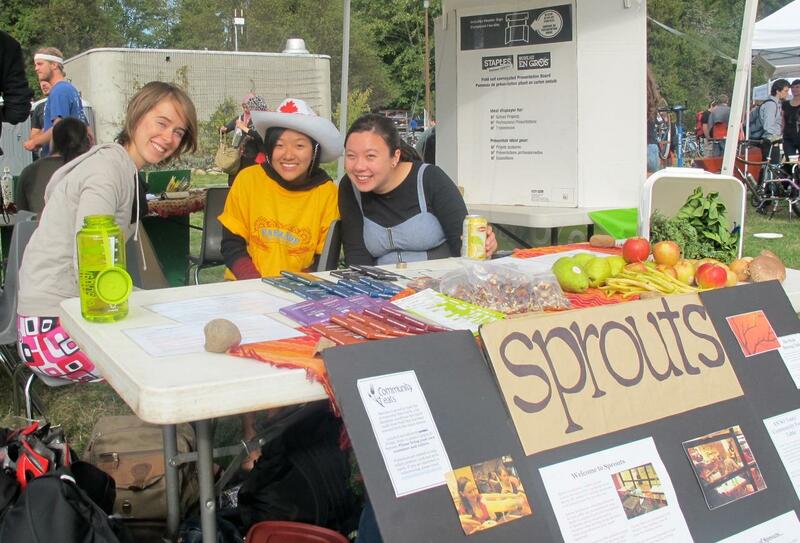 Ideally, we are aiming to act as a catalyst in the spread of the urban agricuture movement within the faculty of Land and Food Systems and the community at UBC; to increase the awareness, interest and engagement city farming as a part of the Center for Sustainable Food Systems (CSFS) at UBC. 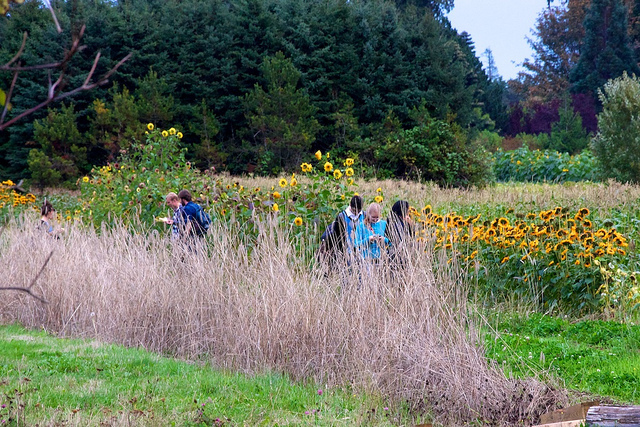 The garden is a good place to come if you aren’t available for farm volunteer shifts, have never worked on a farm before but are interested in getting your feet wet, and/or would just like to get outside (and dirty) for a while!